COS is a place for conversation and learning about our faith and traditions. Learning the content of the Christian faith and practice, especially as it equips us for the demands and challenges of daily life. To offer inspiration, encouragement and support for one’s relationship with God. To develop genuine spiritual friendships that strengthen our experience of community. We look to a future in which we are a community of disciples growing in intimacy with God and radiating Christ’s life giving and life changing presence in the world. 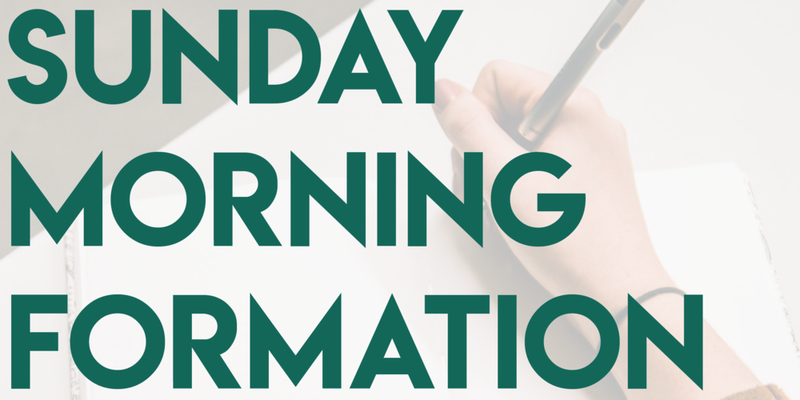 Sunday Morning Formation opportunities offer people a place to engage in book and bible studies over the course of the year as well as engaging presentations offered by clergy, staff and guest speakers! Join us on Campus at COS beginning at 9 AM for a variety of opportunities. See below for our current line up and check back often for more events! Journey in Joy is a women’s Bible study that meets from September to May, with a Christmas and Easter break. The goal is to draw us into a loving relationship with God, in addition to learning the content of our faith. It is ecumenical. You may begin at any point during the year. We meet in Allan and Cleaver Hall, on Fridays, from 9:30 -11:00 a.m.
Sage is a gathering of our senior parishioners that meet for lunch on the third Thursday of each month at 12:30 PM in Clever Hall, for fellowship and an enjoyable meal. The main dish is provided, and special dishes are brought by those who enjoy sharing their favorite dishes, such as salads, vegetables and desserts. We try to schedule an interesting speaker who can talk on various subjects, such as the history of the church, the Huntington Library art collection and botanical gardens, Chinese culture, the Lucky Baldwin story, Christmas Carols with the Kilian’s plus those of us who enjoy sharing their story on what brought them to this wonderful church. Our gathering has brought us together, not only as friends but as family. As we continue on Gods path may we blessed to be part of Church of Our Saviour.